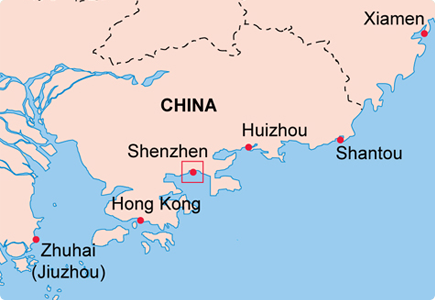 Yantian commenced operations in mid-1994. 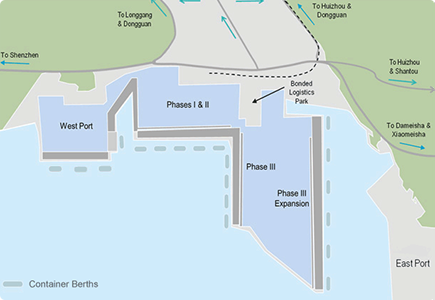 The port comprises Yantian Phases I and II, Yantian Phase III, Yantian Phase III Expansion and West Port. Yantian is a preferred port of call for mega container vessels in South China. More than 40 major shipping lines operate about 100 weekly services at Yantian, establishing an extensive shipping network that spans the globe. To provide premium terminal services, Yantian continually develops the terminal by implementing state-of-the-art operational equipment and computer systems. At the same time, Yantian endeavors to enhance staff training and qualification to improve overall customer service quality.